If you are thinking of traveling to help process your grief, you might want to consider adding a ritual to your experience to increase the benefits you receive. Rituals have the power to open our hearts, even in the midst of pain, to opportunities for healing and release. This is why we hold funerals and memorial services for our departed loved ones, to help us express our pain and find solace in sharing it with others. The idea behind a ritual is to create a safe space where we can explore our grief and let go of what no longer serves us. We do not let go of our loved one or our memories through a grief ritual–those remain intact as a pure expression of our love. But the ritual ceremony allows us to release the negative emotions that have become attached to our grief, like anger, blame, resentment, shame, and guilt. Letting go of these destructive feelings allows more room for love and peace to expand. Creating a meaningful ritual while you are traveling requires some resourcefulness, since you won’t be able to bring along a lot of ceremonial tools and supplies. But you can design your own simple activity for acknowledging grief by utilizing the special places and natural objects that already exist wherever you are traveling. 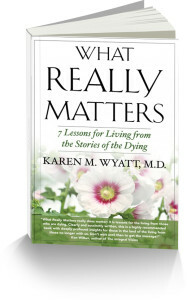 For a nature-based ritual for grief, spend time outdoors wherever your travel takes you. Even in a city you should be able to find a park or garden where you can wander and connect with nature. Also look for sacred spaces in the area, like chapels, cathedrals or churches. Many are open during the day with free entry to anyone and they can provide a quiet and inspirational place for your little ceremony. Walk slowly and mindfully somewhere outdoors, like a garden, beach, hiking trail, or park. As you walk, pay attention to everything around you and search for special objects that capture your attention such as stones, shells or pinecones. Hold the stone or shell in your hands and meditate on the emotion you would like to release during your ritual. Envision pouring your anger or guilt into the object which has infinite capacity to carry everything you need to release. Carry the stone or shell with you for as long as you like until it feels right to let it go. Then put it in a special place and say a prayer for your peace and healing as you leave it behind. 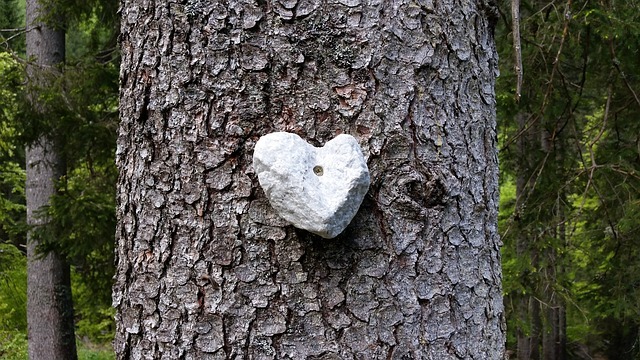 I collect heart-shaped stones when I hike or travel and have found them in many places. Some stones I carry with me as reminders of my journey and place in my forgiveness garden at home; others I leave behind on my travels, perhaps at the base of a tree or on a large branch. While you are out in nature on your grief journey you can gather dandelions, small flowers, leaves or tufts of grass to use in your ritual. Contemplate how they represent the impermanence of life, the fleeting nature of everything that lives. You might want to assemble them into a design or shape or just hold them in your hands. 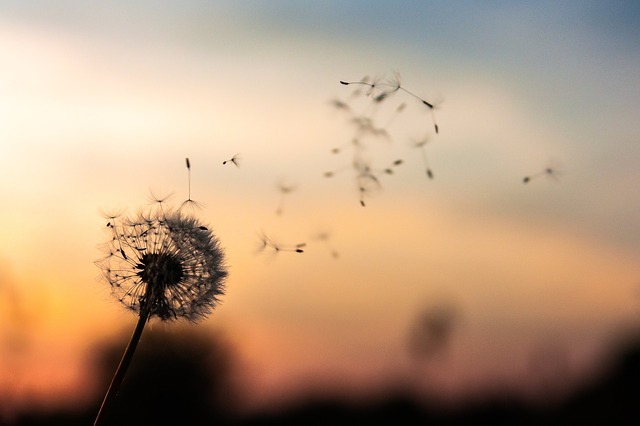 Whisper a prayer or a wish for your loved one or yourself into the items you have gathered, then scatter them one-by-one in the breeze or blow on the seeds of a dandelion so they are carried far away by the wind. This ritual symbolizes the fleeting nature of life–here one minute and gone in the next–and reminds us to make the most of each moment we are given. 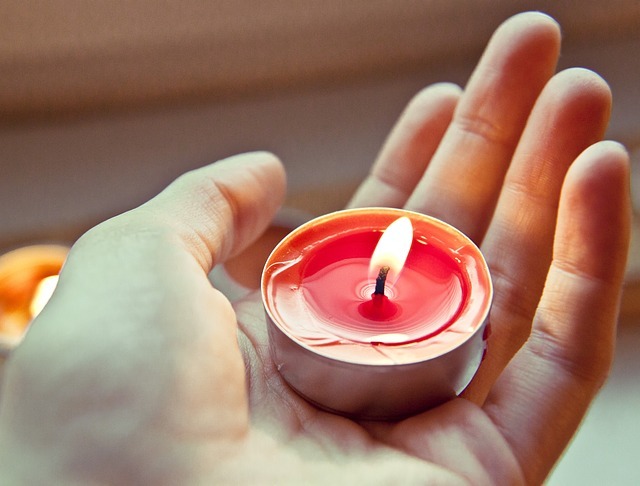 Lighting a candle or a small fire is one of the most potent rituals you can perform in a spiritual setting. Candles are part of special ceremonies in every religion and signify hope in the midst of despair and the ever-present light that shines for us in times of darkness. I love to light large sanctuary candles that burn constantly for 7-10 days during special rituals in my home, but they are not practical for travel. You can easily travel with a few small tea lights in your bag to use for a lighting ceremony or fire ritual, where you burn small pieces of paper with what you want to release written on them. Since some hotels and establishments don’t allow open flames you can also bring along flameless, battery-operated tea lights to achieve the effect of lighting a candle while you meditate or pray. At many churches and cathedrals you can donate a few coins and light a special prayer candle. This has been a powerful ritual for me during many of my travels through Europe, which often include visits to religious shrines. If you are near a river or stream find a bridge that spans the flow of water for a simple but powerful ritual. First stand at the middle of the bridge facing downstream. 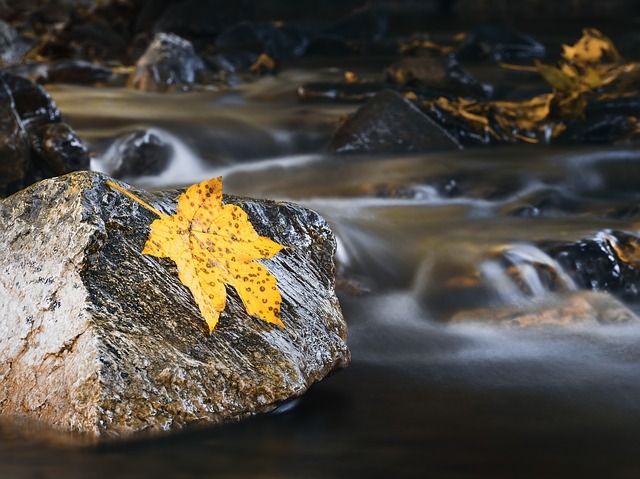 As you watch the water flow from under the bridge and away from you, imagine pouring everything that no longer serves you into the water and see it be carried off down the stream. When you have finished letting go of what you need to leave behind, turn around to face the water flowing toward you. Imagine love and light rushing to you, filling all of the new space you have created within. Feel the power of the water as it roars toward you and washes away all that you have released. Receive all of the goodness and peace that is now coming your way. I often gather flower petals, leaves and sticks and “fill” them with whatever I need to release. Then I toss them into the water flowing downstream so I can watch as they are physically carried away from me. 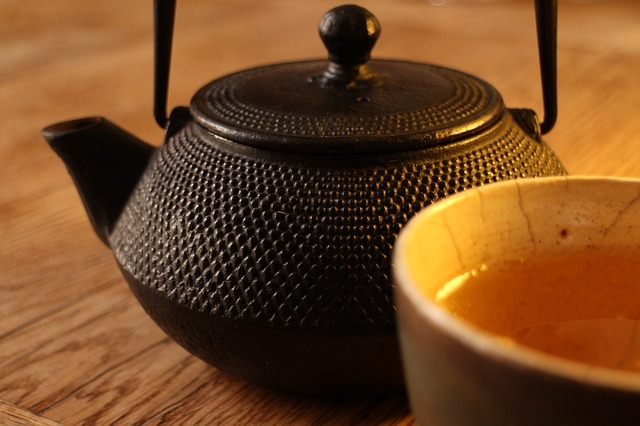 The Japanese have long perfected the art of preparing and serving tea in a tradition that dates back 1,000 years. They pay special attention to every aspect of the ritual including decorating the table with flowers, making special food, choosing the tea, and using the right utensils and dishes. You can create your own tea-drinking ritual as an act of releasing grief by being mindful about each step of the process. The Japanese emphasize four qualities during their ceremonies: harmony (ensuring that even the utensils coordinate with the surroundings), respect (approaching the ceremony with humility and care), purity (leaving behind all thoughts and worries), and tranquility, which occurs as the result of completing the ceremony. For you own personal ritual use great care and mindful intention as you prepare your tea, serve it in a special cup or glass if available, and sip it slowly throughout a quiet session of meditation or prayer. I once sought refuge in a tea shop during a torrential rainstorm while traveling in Florence, Italy. The ritual I had planned for the day had to be abandoned because of the weather, but the little tearoom in the back of the shop gave me an opportunity to have a special tea ceremony instead. I dedicated it to my Mom who would have loved sharing tea with me that day! 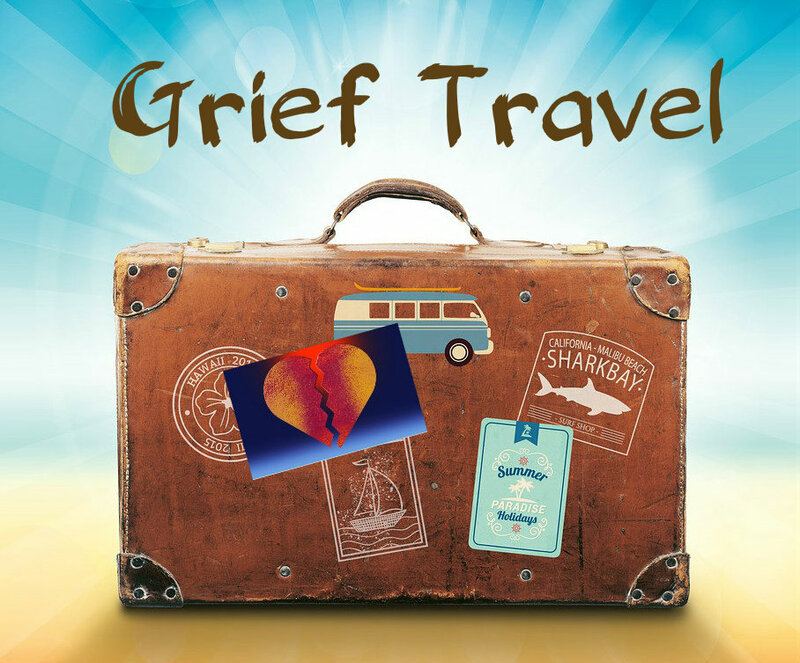 These are just a few suggestions for simple rituals you can perform during your grief travel experience. You can easily create your own ceremonies by paying attention to what is available to you wherever you go and staying open to your intuition. Whatever you choose to do, your travels will be far more meaningful and transformational because of the special time and attention you give to creating simple rituals for your grief. May you experience tranquility and peace at the end of your journey.